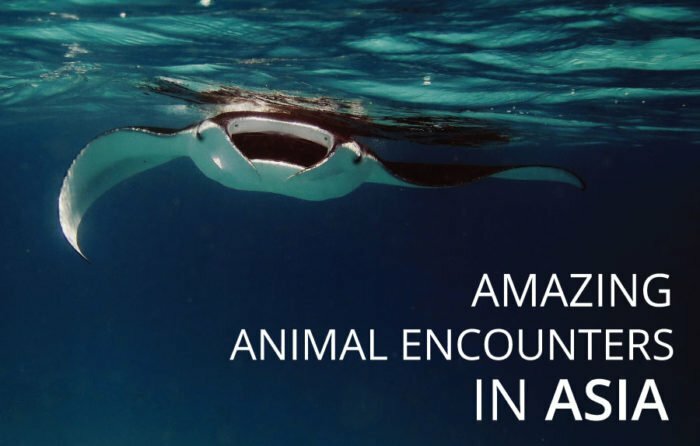 What cool animals can you see in Asia? There is no doubt that Asia contains some pretty incredible animals. Elephants, tigers, pandas, monkeys, and some seriously good sea life. But not all animal tourism is good. You have probably heard of elephants being mistreated and tigers being pat like giant kittens. For these sort of activities, I HIGHLY discourage you to participate in. Some of the coolest animals in Asia have been taken advantage of in such large numbers that they are now endangered or become extinct. Support companies and activities that take care of the well-being of the animals first and foremost. 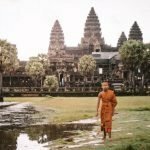 Here is a list of some of the best animal experiences in Asia, that are environmentally conscious and ethical. 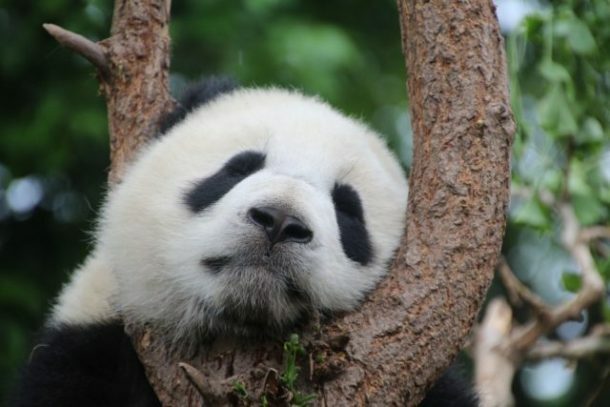 Pandas are not only the national symbol of China but the most beloved creature in Sichuan. 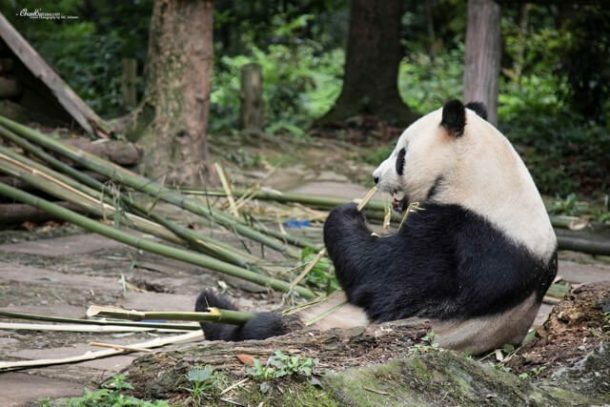 Native to the province, people hold this furry bear in high esteem, and you won’t be able to avoid the myriad panda-themed things when strolling around Chengdu. It’s no surprise that the local panda bases are always pretty busy, and bring huge amounts of visitors each year, but I’m not here to talk about the one in Chengdu, I’d actually probably recommend avoiding it too, instead, get to one of the neighbouring ones. Sichuan has, as of November 2017, four panda bases, one in Chengdu, one in Bifengxia and two in Dujiangyan. Two different organisations own those bases and if you are looking for a visit then I would recommend Bifengxia and the new panda base in Dujiangyan, both of which have strong funding from wildlife research organisations and have been making amazing progress in understanding the panda’s behaviour. 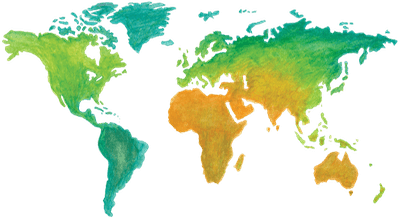 You will find at those two bases volunteering programs allowing you to get close to the pandas. You will not be able to touch them or hold them, as far as I am aware the program offering to hold a panda is not ongoing anymore. If it is, please don’t do it. But you can also simply walk near their enclosures and visit the nearby nature reserves. 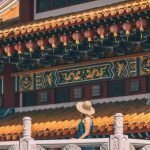 If you do want to visit the pandas in the wild then the Wolong nature reserve is your best shot, but those bears are pretty shy and chances of seeing them in the wild are very, very slim. Observing the famous Japanese snow monkeys was an amazing experience I will never forget. 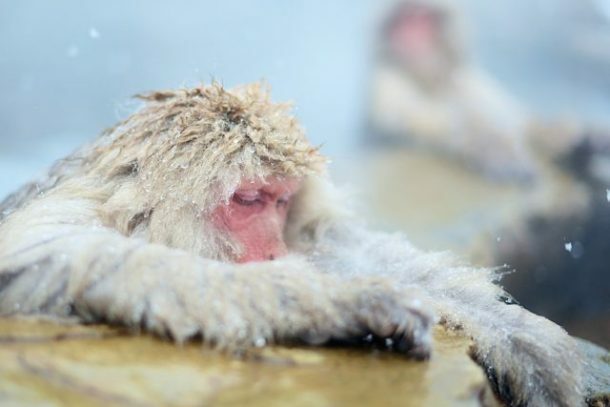 The snow monkeys are Japanese macaques native to northern Japan known for their reddish/pink faces and for soaking in hot springs. I was able to see the Japanese snow monkeys at Jigokudani Yaen Kōen (aka Jigokudani Snow Monkey Park) where they come down from the mountains to hang out, play, groom each other and relax in hot springs just inches away from visitors. When you hear a name like “snow monkey park” it is easy to assume that this isn’t a responsible animal encounter. On the contrary, the monkeys are in their natural habitat and free to roam as they please. There are also very strict rules about visitors not feeding or touching the snow monkeys. 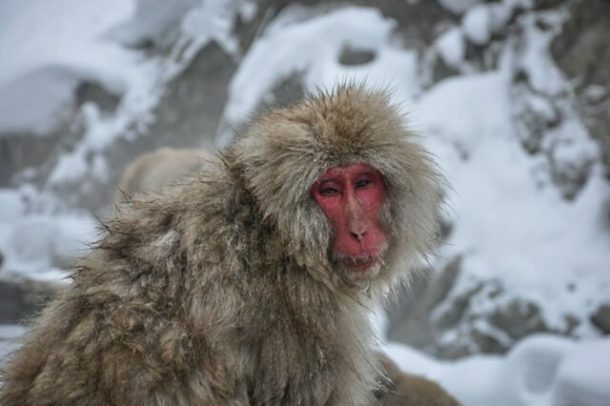 The fastest way to reach the snow monkeys from Tokyo is to take the Shinkansen (bullet train) and then transfer to either a local train or bus (about 3 hours travel time each way). While you can visit the park year round, winter is definitely the best time to see and photograph these cute monkeys as everything is covered in snow, making them true “snow monkeys”. Nara, Japan offers animal-lovers a unique opportunity to get up-close and personal with one of the most beautiful and gentle animals on the planet. In and around Nara Park, domesticated deer roam the streets and walkways right alongside the locals and tourists. For a small amount of money, you can buy deer crackers from a street cart and feed the deer. 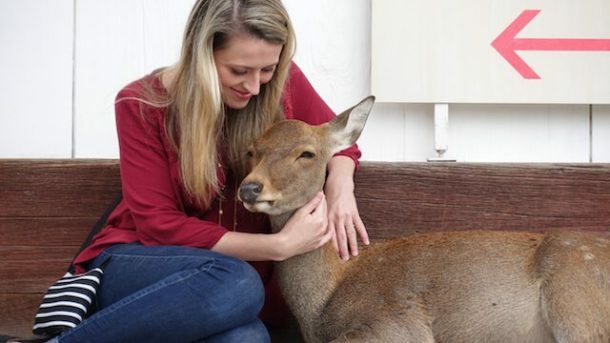 Although the deer are wild, they have become comfortable around people and will approach you, let you pet them, and at times even curl up and snuggle next to you. The Nara deer are considered a national treasure in Japan and are protected as such. Although the deer are used to being around people, they may still buck, kick, or bite. 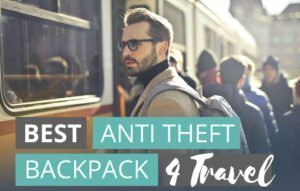 They will also try to eat anything they think is food, that includes loose clothing, a small handbag, a map, or train ticket hanging out of your back pocket or purse. 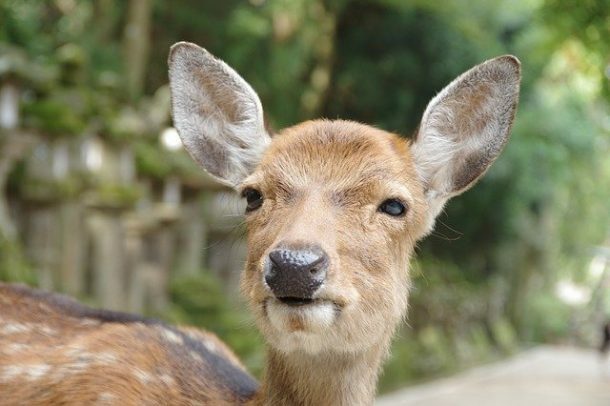 But if use caution when approaching them and respect the fact that these beautiful creatures are still wild, you can have an incredibly memorable encounter with the deer in Nara. Just head to Nara Park as they roam freely here and there are loads of them! Nara Park is a 5-minute walk from Kintetsu Nara Station or about a 20-minute walk from JR Nara Station. Alternatively, you can go there by bus, there are multiple stops around the park. Nara Park is free to visit. Because the park isn’t closed off, you will easily find the deer walking around the many temples and shrines in the area. 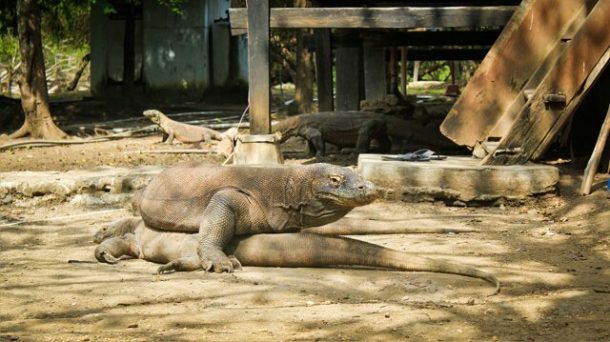 Finally, our family got to see the Komodo dragons in their natural habitat in Flores, Indonesia. We arrived one morning at Loh Buaya National Park in Rinca Island, one of the four islands in Flores where the Komodo dragons live in a wild. There are 3 trekking tracts on this island where we might share the treks with them, but we didn’t take any because of the timing at the time. Instead, we walked to the Rangers’ quarters, where the dragons like to roam under the houses. And it was mating season when we were there, so we got to see one big dragon on top of a smaller one that made my 10-year-old son and nephew wonder. We saw the dragons from the safe distance and the Rangers were around with their safety tool, a long stick with a Y shaped at one end. 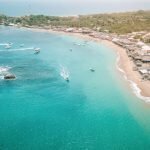 A daily flight from Jakarta, Bali, or Lombok will take you to Labuan Bajo, the hub to the Komodo Islands. Then rent a boat to get to Rinca or the other three. For a budget traveller, there’s a combination of ferry and bus from Bali that will take 2 days to Labuan Bajo. 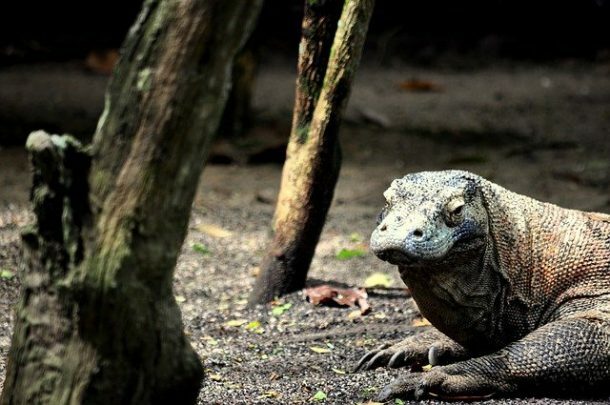 Click the link for more information on how to see Komodo Dragons in Indonesia. Deep blue water was gently flowing around me. Few sun rays were flashing through the surface. I was quickly moving my fins to get further into the water. And there it was! A huge turtle munching on its breakfast at the bottom of the sea. It started swimming up to catch some fresh air, just enough to go back underwater. It was amazing to be able to see its movements, so fine and smooth. Soon, we saw, even more, turtles in other parts of the reef. We could swim directly next to them! I was so fascinated. 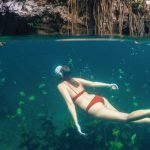 From any of the islands, you can take a snorkelling tour on a boat. The snorkelling trip around Gili islands in Indonesia was definitely worth it. 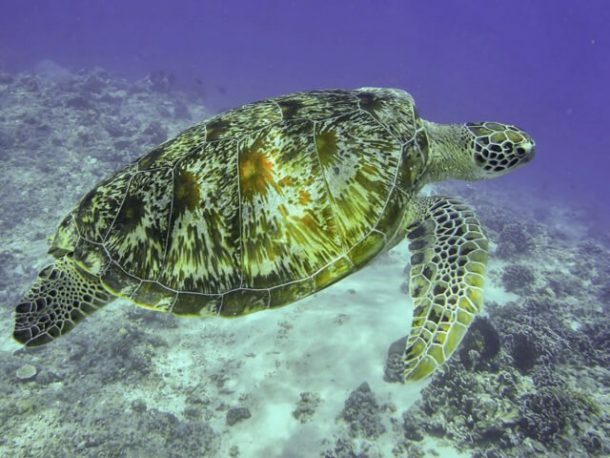 There are many turtles in the area and a nice reef with different types of fish. 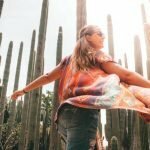 The boat takes you around to the best spots in three islands – Gili Air, Gili T and Gili Meno. The company provides snorkelling equipment and a guide, who is looking for turtles 😉 In the middle of the trip you stop on Gili Meno for lunch or to chill on the beach. The pristine beauty, turquoise water and amazing sea world is the highlight of that place! Off of the coast of Nusa Lembongan in Bali, there is a series of coves accessible by boat. These coves make up the giant manta rays feeding grounds as they love the small jellyfish and plankton that is in abundance here. The boat will travel from Lembongan main area for 20 minutes across a channel to remote Nusa Penida. Limestone cliffs surround this area and the ocean floor is so full of coral it is hard to tell what exactly the black shadows are. 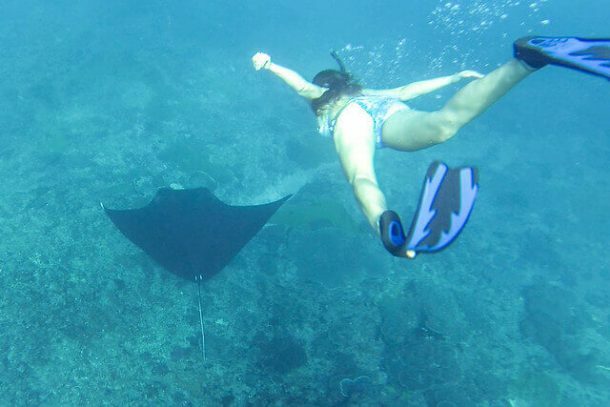 But your boat captain is well-versed in manta spotting and will find the best places. When they give the word, jump into the water and wait for the mantas to come to you. It is important not to chase them. They are calm, curious and intelligent creatures and it is likely that they will be as interested in checking you out as you are them. Manta rays feed here at all times of the year. 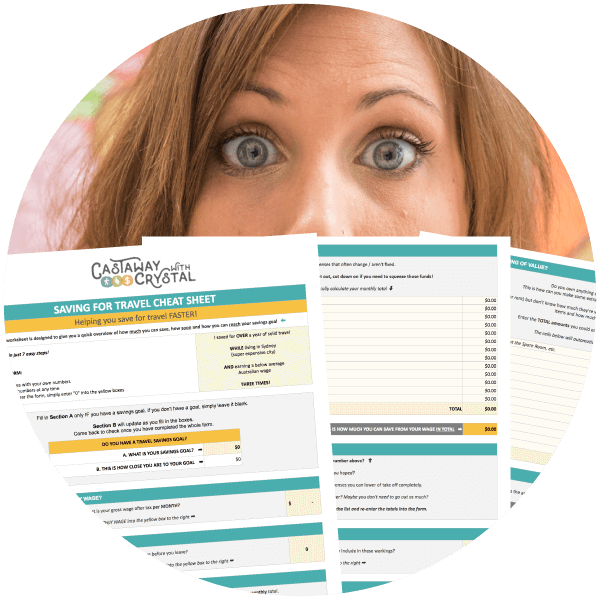 It’s a simple as booking any boat operator either through your guest house or even just around the areas where the boats dock on the beach. Almost all of the boat operators will also provide snorkelling gear. 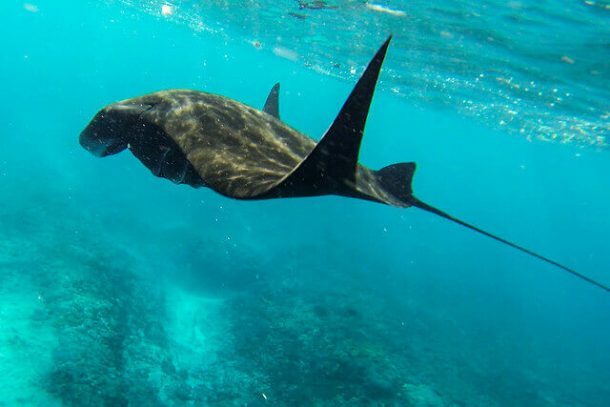 For more of a chance to see the manta rays, try to get on one of the boats leaving first, because once the hordes arrive the mantas sometimes stay hidden. Also, ensure your boat carries life jackets as the cross from Lembongan to the area where the mantas feed can get windy and sometimes the swell can be huge and dangerous. The Monkey Forest in Ubud is a must if you are in Bali. It is an important educational and conservation centre, where you can find over 700 monkeys. There is a small entrance fee to the site. This was the first time I saw monkeys so close, just walking amongst people. It is quite fun to just watch the animals play together and there were many baby monkeys, which were particularly cute! I also had the chance to feed a monkey. I just held up a banana, the monkey climbed on my head and took it. Great photo opportunity! However, you have to be careful with them! Don’t mess around with their food, try and take it or harass baby monkeys as you can easily be bitten, which can be very dangerous! 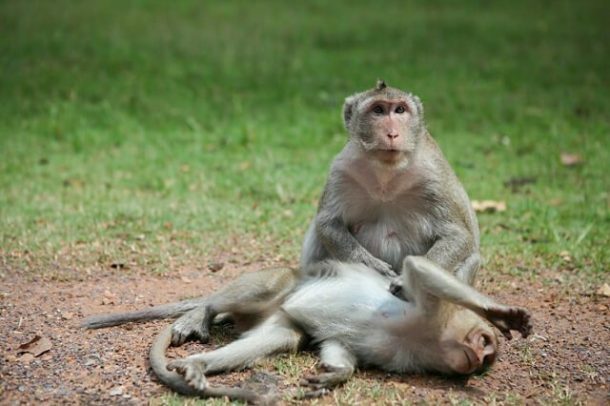 Don’t have loose items on you, like glasses, key chains on your bag or even plastic bottle, as the monkeys will steal it! Just respect the animals and enjoy this place! 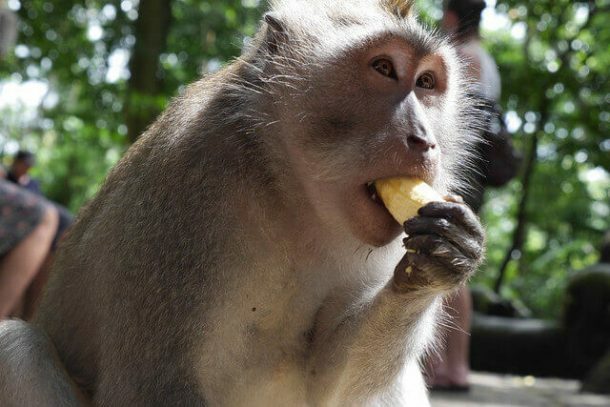 You’ll be sure to see monkeys at the Monkey Forest in Ubud as there are 700 of them in this small area. The park is open from 8:30 am – 6:00 pm every day and tickets cost INR 50 ($3.50 USD). 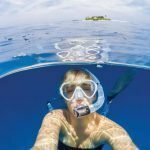 Since I learnt to dive 4 years ago, my holidays always include amazing places to go diving and see incredible wildlife. On the island of Cebu in the Philippines, I was chasing Thresher Sharks. These average at about 3 metres and have the most alien tails and I was lucky enough to dive with them! They are a fairly guaranteed sighting year round as the dive sites at Cebu are a cleaning station and dives start at about 4 am in the early morning! But are well worth the early morning wake up. To see threshers for yourself, head to the north of Cebu and take a boat to the stunning island of Malapascua. As a sea lover, it is always a pride and joy capturing a moment where sea creatures in the wild appear. My interaction with the spinner dolphins and spotted dolphins along Tanon Strait in the Philippines gives a lot of chill to myself. 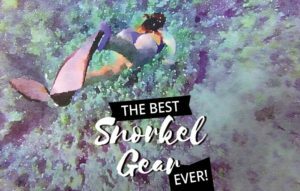 The area is situated in between Negros Island and Cebu Island with a size of 161 km and it is the biggest marine protected area of the country. We scheduled our island hopping early in the morning for us to arrive early in one of the small islands in this place named Pescador. About 10 minutes after we departed from the mainland, a massive pod of dolphins show up. They were everywhere, playing around their territory. The local said there are thousands of dolphins lurking the area very early in the morning. This is one of the unforgettable moments that made me want to visit more of the place. 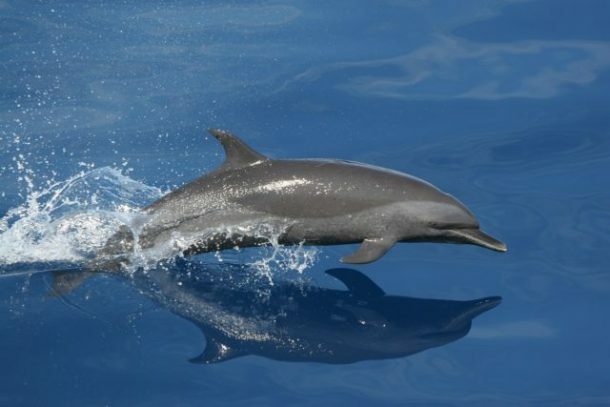 To do a tour to see dolphins in the Philippines, you can either hire a local fisherman’s boat or a tourist’s boat in Panagsama, Moalboal. 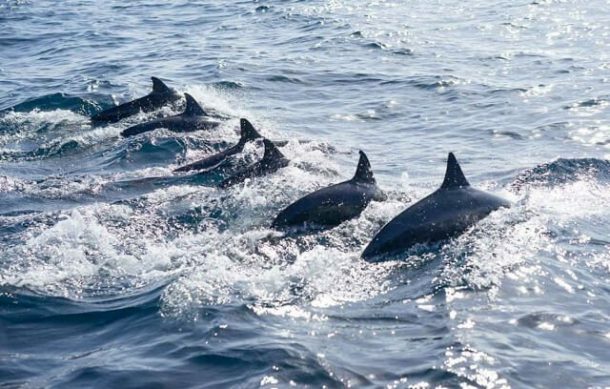 For island hopping, be sure to include Pescador Island to spot dolphins and sardines. You can do this activity as early as 6:30 am. 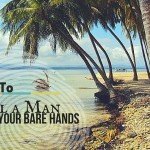 Moalboal, Cebu has one of the most beautiful beaches in the Visayas. Aside from the beautiful beach, it is also famous for the amazing sardine run at the Panagsama Beach. We were near the accommodations at Panagsama beach. When we arrived there, there were plenty of divers all set out to see the sardines and the abundant marine life below. A feat that Moalboal is known for. As per our guide, there are certain laws that are implemented in the area to preserve the sardines. Hence, net fishing is strictly prohibited, only the use of hook and line is allowed. The sardines can be seen pretty close to the coast. Like close, close. Personally, I didn’t get to see the corals in the area. 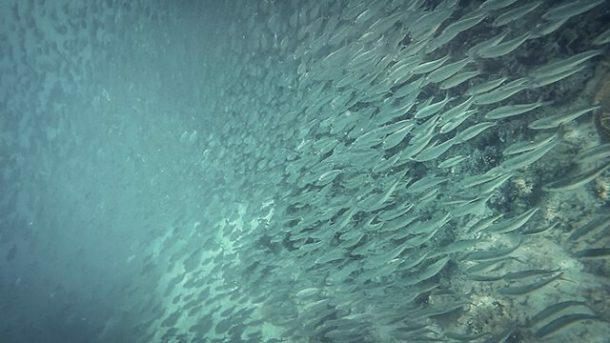 The sardine population was very dense that it seemed like the water was made out of sardines! I didn’t know how to dive either, my swimming skill is limited to snorkelling only (which was too bad), but the view from where I was floating was indeed amazing! The sardine run can be seen all year round near the coast of Panagsama Beach. To get there, you may opt to stay in one of the Panagsama’s accommodations or try the island hopping – that is if you’re from other parts of Moalboal. 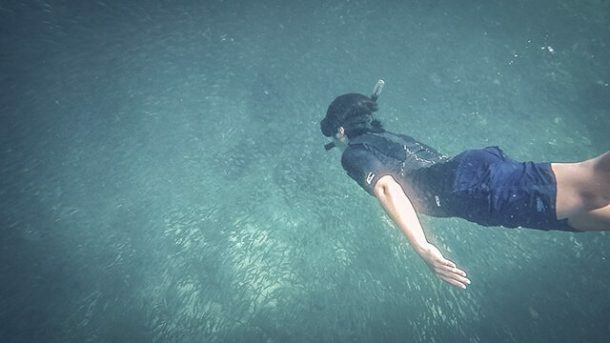 We were staying at a resort on White Beach and had availed the island hopping tour to Pescador Island (where we saw several playful dolphins and snorkelled near the Pescador Island). It was one of the side trips of the island hopping. Merapoh is a crucial habitat for tigers and notorious for poaching. It’s the perfect place to volunteer with an amazing team, dedicated to saving the last 250 tigers. We went on regular treks through the rainforest with an indigenous guide. 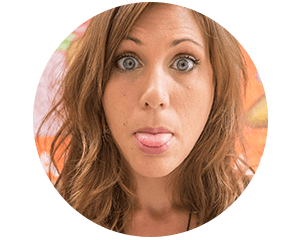 This one simple act is so powerful… In the 1960’s the Batek people were forced out of the jungle. By guiding they can make a living in the forest they’ve called home for centuries. We photographed everything and sent it to the wildlife authorities. This helps them monitor the population levels and safely destroy traps in the area. We destroyed tiger paw prints after recording them so they couldn’t be tracked by poachers. But my fondest memories of Merapoh were the people rather than the wildlife. The team never demonised poachers. Instead, they immersed themselves into village life. We were welcomed into people’s homes for dinner and even attended a wedding! They knew we were there because of the tigers and that we were actively seeking traps to destroy. I can’t think of a better way to stop a poacher than becoming best friends with his wife, mother and daughters! 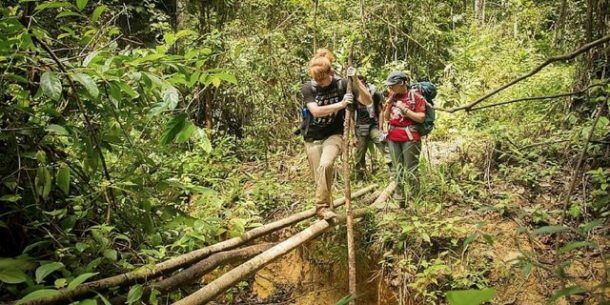 There are a number of conservation adventures you can do in Merapoh. Click the link to learn more about volunteering to save tigers. 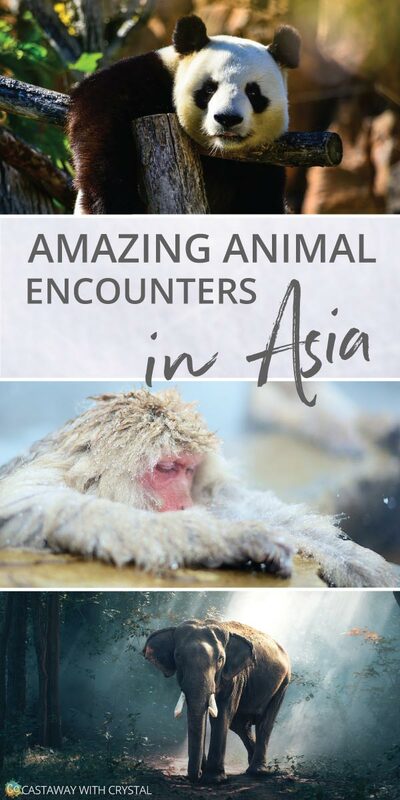 Want more amazing animals in Malaysia? 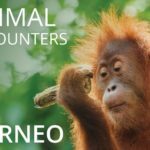 Check out what animals you can see in Malaysian Borneo! Elephants in Thailand have it tough. There are currently more elephants in captivity (3000) than in the wild (1000) and numbers are dwindling fast. But thankfully, there are ethical organizations helping free elephants from abuse, and giving them a new life free of chains. I had the privilege of visiting Khao Sok National Park in Thailand, which is home to several elephant sanctuaries. 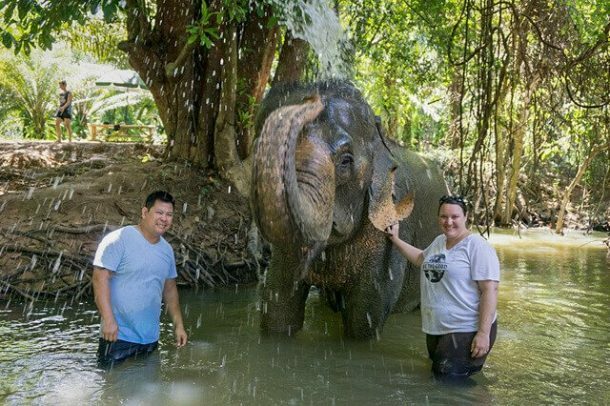 The hotel we stayed at was partnered with Khao Sok Elephant Sanctuary, which offers guests the ability to bathe elephants, and I jumped at the opportunity to spend time with my favourite creature. Upon arrival, the host gave us an overview of their work and information about the elephant we would be hanging out with. From there, we headed down to the river for a mud bath. Mud is necessary for the health of an elephant’s skin and protects them from sunburn and insect bites. After Wassana’s “spa” treatment, we headed back to feed her snacks and take photos. Elephants are very intelligent and emotional creatures, and you could see in her eyes that she was enjoying her new life free of cruelty. If you have the opportunity to spend time with elephants in Thailand, do it. But, ask questions before doing so. 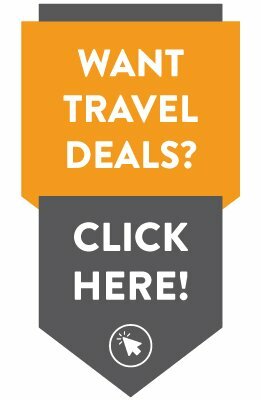 Do they offer elephant riding? Are the elephants chained up, or allowed to roam free? 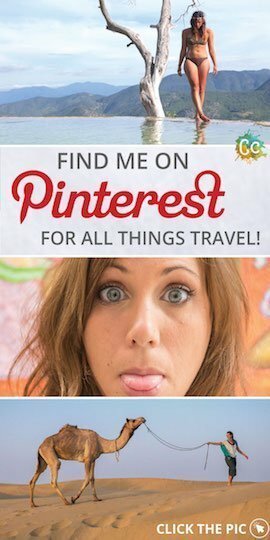 What sort of tools do they use to control the elephants? (bullhooks are a no-no). 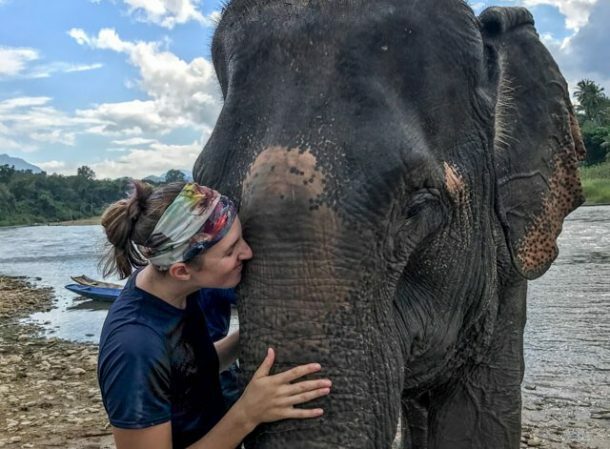 There are lots of organizations doing amazing conservation work in Thailand, and by visiting, you are helping fund these efforts— thus helping give elephants the chance for a better future. My most amazing animal encounter is when I was volunteering at an animal shelter in Thailand. This is probably something that might not blow your mind, but I assure you, it will melt your heart! Whilst I was volunteering at the shelter, my boyfriend was not part of it, therefore, he was staying in a guest house. 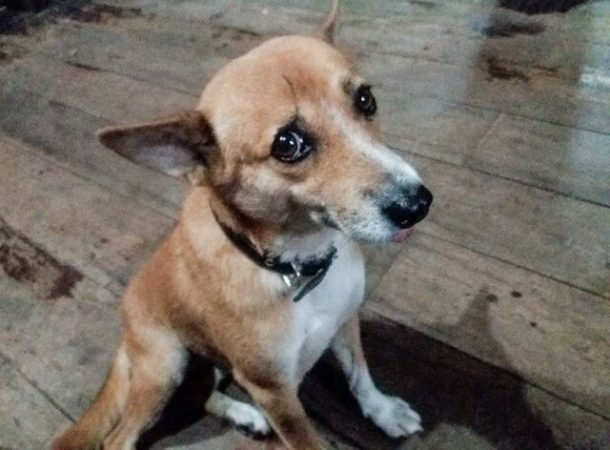 One night, I decided to stay with him for the night, the dog of the volunteer house followed me without my knowledge. When I get to the guest house, my boyfriend was happy that I brought the dog with me. After a few hours of playing with her, we decided to go to sleep. But Toya won’t go home, at the same time, we don’t want to keep her in our room in case she panicked, we tried to let her in but she wouldn’t come. To our surprise, Toya slept right on the front door all night either guarding us or waiting for us to come out and play again. Since that day, Toya will follow me or my boyfriend wherever we go. There are websites where you can donate money or arrange to volunteer at the shelters. Thai Animal Sanctuary is a great one! The six of us were happily hiking along the mountain ridge, eager to meet our new companions. Suddenly, we heard a loud crack of a tree branch. Everyone hushed as the trees rustled. Out of the thick, dense mess of green, we were face to face with the most amazing creature of the jungles of South East Asia have to offer: the Asian Elephant. 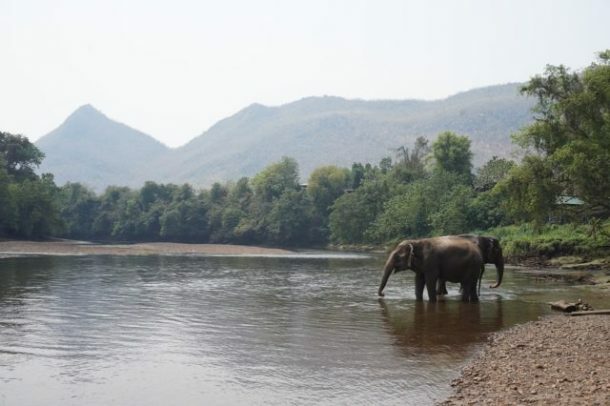 Mandalao is the only elephant sanctuary in Luang Prabang that does not offer riding tours. Instead, you meet the elephants in their natural environment deep in the jungle and go for a hike. On the tour, you get to feed, bathe, and hike with these magnificent creatures. Mandalao rescues elephants from illegal logging camps and rehabilitates these incredible creatures to eventually be re-introduced into the wild. Walking with these gentle giants is one experience you’ll never forget. While at Angkor Wat in Cambodia I saw a monkey holding her baby. She and the baby monkey were so cute that I took a picture and gave the monkey a little piece of fruit. Next morning, we saw two huge monkeys blocking our entrance to the road. We shoo’ed them but they didn’t budge. We decided to walk straight through them making a lot of noise. Suddenly a monkey came from behind, jumped on my back while another grabbed at my backpack which contained fruit. We ran to the road pursued part way by monkeys. In the safety of the main road, I looked back and saw the mother monkey looking at us. Clearly, the mother monkey had alerted her cohorts to the presence of two humans that had food. Next morning was out last. We peeked out our window and saw about 15 monkeys start to amass in the clearing in front of our room. They had been stalking us. 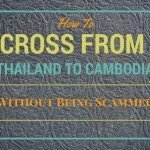 We nervously joked that we could never leave the room and would simply have to learn Cambodian and order take-out forever. I spied the mother monkey – the ringleader with – her baby. Suddenly the woman that checked us in the first day showed up with a large dog. They walked toward our room and the monkeys dispersed long enough for us to get to the main road with our bags. As we left, the woman told us that the monkeys sometimes get friendly if you feed them. On my last day in Ho Chi Minh, I went to Notre Dame Cathedral. It was mid-day already so the crowd was so thick, I couldn’t take a nice photo. I decided to stay for a while so I looked around. I saw these white, brown and black pigeons flying in big groups from different directions. This scene reminds me of my visit to Batu Caves in Malaysia and Grand Palace in Cambodia. Only that the number of birds is smaller. I looked further and surprised that these wild birds regularly interact with the people around the church. You can buy a small bag of corn kernels for a dollar then put some on your hand. 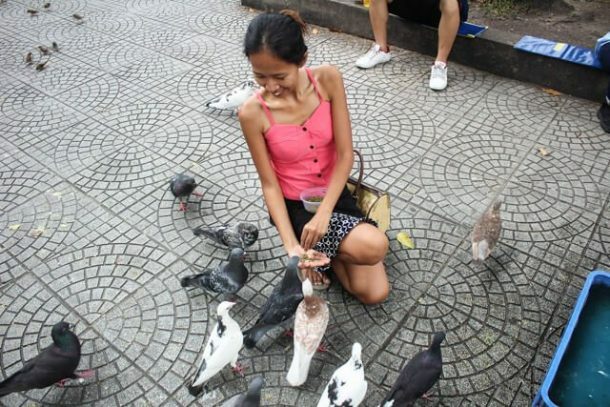 In no time, these birds will come rushing to you then feed from your hand or over your head if you wish so. It’s a nice feeling to see a pigeon so close from your eyes then flaps its wings to fly away after it’s done eating. 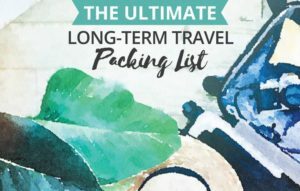 What a great list. 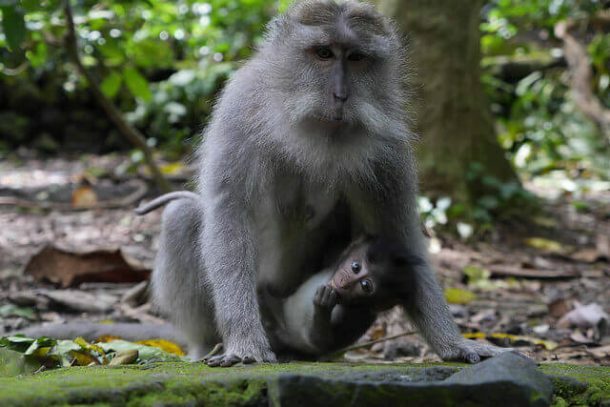 We went to the Ubud Monkey Forest on our honeymoon in Bali. So many cute animals! 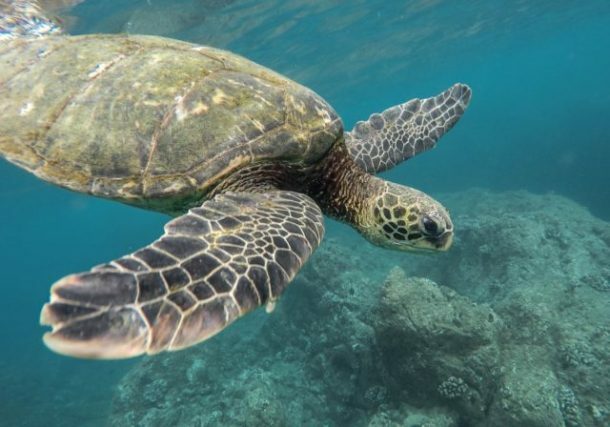 I was able to snorkel with sea turtles in Hawaii and it was great. I have seen sharks on my dives but never a Thresher Shark- they look amazing! 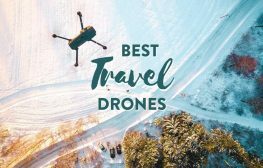 It is strange to see pigeons on this list – when I lived in NYC we always saw them as pests, not something you would actually want to hang out with! 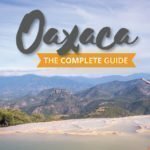 This is a really great collection of experiences. 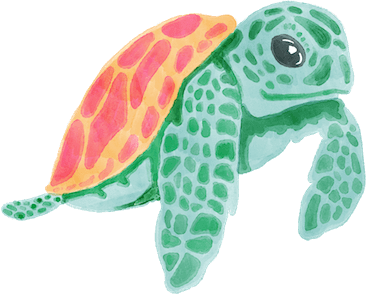 There’s so many incredible and beautiful animals in Asia, from the elephants to turtles and rays. 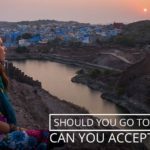 I’m so glad you’ve made a post with all the ethical options and I’ve pinned it for my asia trip.